In reading Lamentations I wondered how much we could empathize with the weeping over a destroyed Jerusalem. We are so less rooted to our geography in this culture and see it as a point of pride to be well-traveled. For some the goal of growing up is to get out of the small town you grew up in. Even the US taken as a whole isn’t all that old of a country and our history is hardly anything compared to the longstanding nations elsewhere in the world. So if we were to imagine a hometown or an iconic city like Washington, D.C. or New York City destroyed, how would we react? Could our sorrow even begin to match that of what is read in Lamentations? Jerusalem was not only a civic center or place of worship, it was both those things and more. It was where that generation’s ancestors had worshiped the living God who made his dwelling place there, among all the places on earth. Surely that destruction would cause questions and doubts. Where is God if his habitation is destroyed? Where is he if he would allow his people to be exiled? Who are we if we do not have our home or a place to gather and worship? As we read Lamentations, take the time to imagine the devastation the author must have felt. Only once you have tried that then move toward the jubilation you can imagine when God’s people are returned home and this city is rebuilt. You can’t grasp the hope that comes in places like the end of Isaiah, dealing with Israel’s restoration, without first understanding the depth of despair that met the people as Jerusalem burned. There is a great little section in chapter 44 of Isaiah that in describing the making of an idol in such a mundane way, shows the whole endeavor to be a bit absurd. Isaiah describes the whole process, start to finish. You plant a tree and let it grow. Then you cut it down for its parts. You use some for a fire. The fire warms you, and then while you’re at it, you throw on some dough and make some bread. You’ve got some wood leftover? Let’s make a god. And then we may as well worship this piece of wood that we just grew, cut down, burnt, and used to carve into some likeness. How can we think something that we just used for the simple needs of warmth and for cooking can then also give birth to a statue worthy of worship? Verse 17 says, "the rest he makes into a god, his idol, and falls down to it and worships it. He prays to it and says, "Deliver me, for you are my god!"" Sounds crazy, right? Do we condemn such an action, or just pity the person? It’d be easier to judge if we weren’t susceptible to idolatry in our own ways. But regardless of the idol–a wooden totem or the idol of power of money–not one of them can answer when we cry out "deliver me!" God alone is savior and only he hears our cries. In chapter 37, after Sennacherib, the leader of the Assyrians, mocks the God of Israel in his dealings with Hezekiah he leaves to attend to an uprising in the south by the king of Egypt. Hezekiah must be in great fear, for himself, his people, and Jerusalem. But he knows that those other gods were no gods at all. He goes to the temple and prays for God’s deliverance, and does so with the purpose that the kingdoms of earth may know that Israel’s God is truly God. As I said, the prophecy is fulfilled and Hezekiah’s prayers are answered. In going to fight off the Egyptians, Sennacherib is dealt a grew blow, loses thousands of men, and retreats back to the capital of Ninevah. There is an interesting comparison between these two leaders. 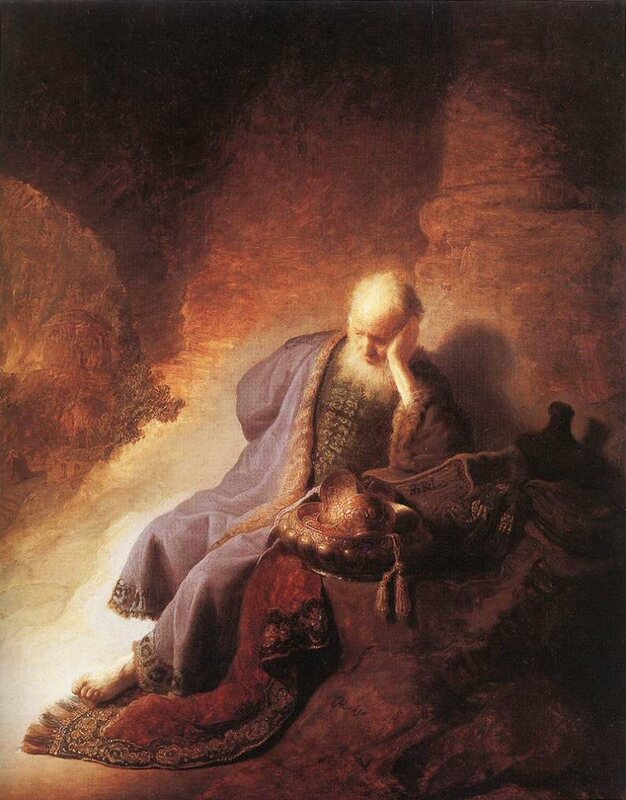 Hezekiah goes to the temple and is heard by God and is spared. 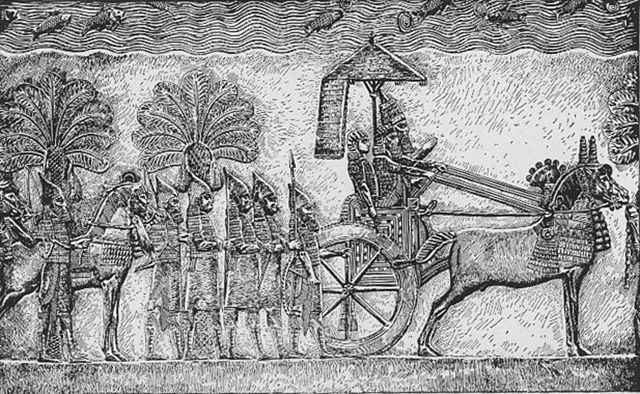 Later, after backing down following the loss of so many of his men at the hand of God’s angels, Sennacherib goes to his temple. There he is not delivered, rather he finds his end as his own sons kill him in order to seize power for themselves. Also-in reading about this passage I found two accounts of how the 185,000 of Sennacherib’s camp were put to death. One is an account of some pesky mice that came out in the night to gnaw away at the bows and the straps of Assyrian shields, leaving that army weakened. The other is not as exciting, and records disease as the tool used to bring about their destruction. Whenever we have a book that is especially long, like Isaiah, it is easy to hustle through it just to get it done. Was it easier to read James and read it in a way that gave you time to study and learn from than this week’s readings in Isaiah? But for how much more difficult it can be, don’t miss out. Even if you’re just highlighting some meaningful nuggets from Isaiah. Great reminders of the simplicity of the faith. We are to trust in the one who can provide, and lean on God. Sadly the last passage goes on to say, "but you would have none of it." Isaiah spends much time on the theme of bringing low the proud, and raising up the humble. The people trusted in themselves, built up their own power, and looked to other gods. They would have none of this repentance and trust in God. When we have times of great clarity, when we know how much we absolutely need and depend on God, it seems crazy to turn to anyone else. Who wouldn’t want quietness and rest? But we need to hear Isaiah as warning for it is easy to turn from that and forget who God is and what he has done for us. It is tempting to rely on ourselves. Isaiah holds out hope for us all, for all who wold repent and then find ourselves trusting in God. I love the story of Philip and the Ethiopian in Acts 8. In a nutshell it is a story of Philip telling this man the good news of Jesus Christ, but it is much more. There are details like how Philip runs in verse 30 when the Spirit tells him to go to the chariot. He doesn’t just walk, but he runs in obedience to the Spirit. 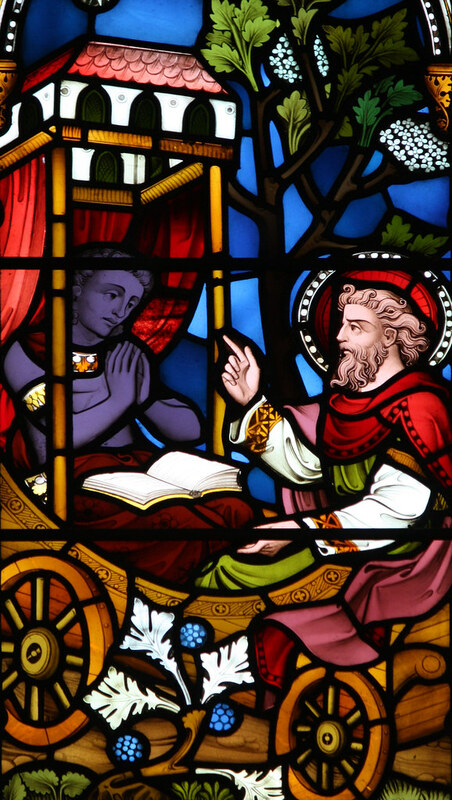 This story is a great testament to Jesus’ fulfillment of Old Testament prophecies in that Philip teaches Isaiah as speaking about Jesus. There is great urgency from the Ethiopian at hearing and believing the good news as he wants to immediately be baptized. Then at the end Philip is carried away by the Spirit never to be seen by the other man again, and then finds himself in another town. …Always being prepared to make a defense to anyone who asks you for a reason for the hope that is in you. Would we have been prepared to instruct someone reading Isaiah with such questions? Are we equipped when someone asks us to tell them about our faith? Can we do it and will we do it with such enthusiasm that we run to those opportunities?